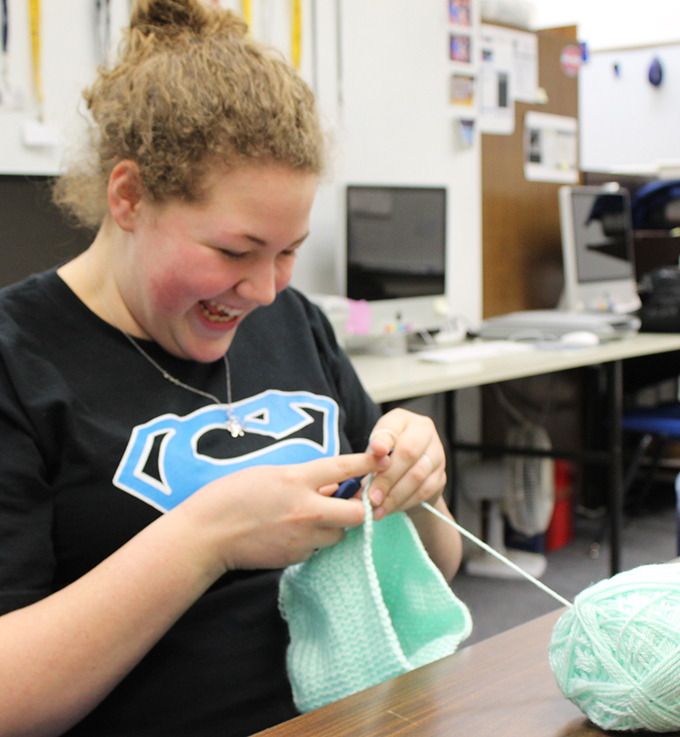 There has been a huge fascination with the craft of crocheting at school. If you look into a classroom you will probably see someone crocheting. Crocheting is the process of creating fabric from yarn, thread or other materials using a hook. It consists of pulling loops through other loops, but also incorporates wrapping the material around the hook one or more times. Crocheting and knitting aren’t the same thing, as crocheting involves using one crochet hook and knitting involves two knitting needles. There are many different patterns to learn once you have mastered the single crochet and chain. Younie spends four to five hours a week crocheting, compared to the three to four hours a day some of her students spend. Ghumm crocheted scarves and ear-warming headbands for her grandma, aunts and her mom. Her hardest challenge was making a tank-top for herself. ← Get ready, get set, FLAP!